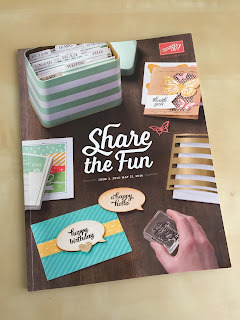 Welcome to the June Fun n' Crafty Stampers Blog Hop! 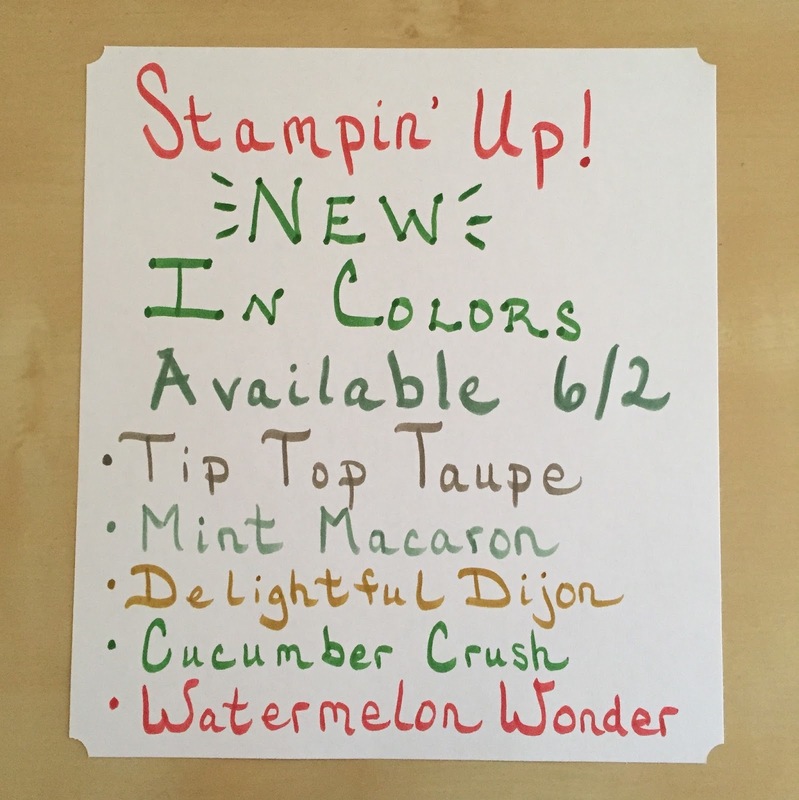 We are sharing some NEW Stampin' Up! products with some of our returning favorites. I have two cards to share today. First up, I have a picture of the newest Stampin' Up! catalog, which is my favorite in my 6+ years as a customer and now demonstrator with this company. From stamps to inks to kits to Project Life, there is a variety of wonderful crafting products and ideas in these pages. Stampin' Up! is known for color coordination, and it is fun to see the new set of "in colors" each year. 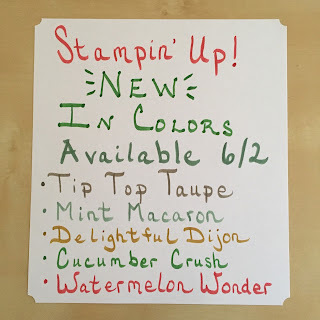 I adore these new colors and played with my Stampin' Write Markers recently to make this sign. This first card I made features a new stamp set (Build a Birthday) and new washi tape (Cherry on Top). 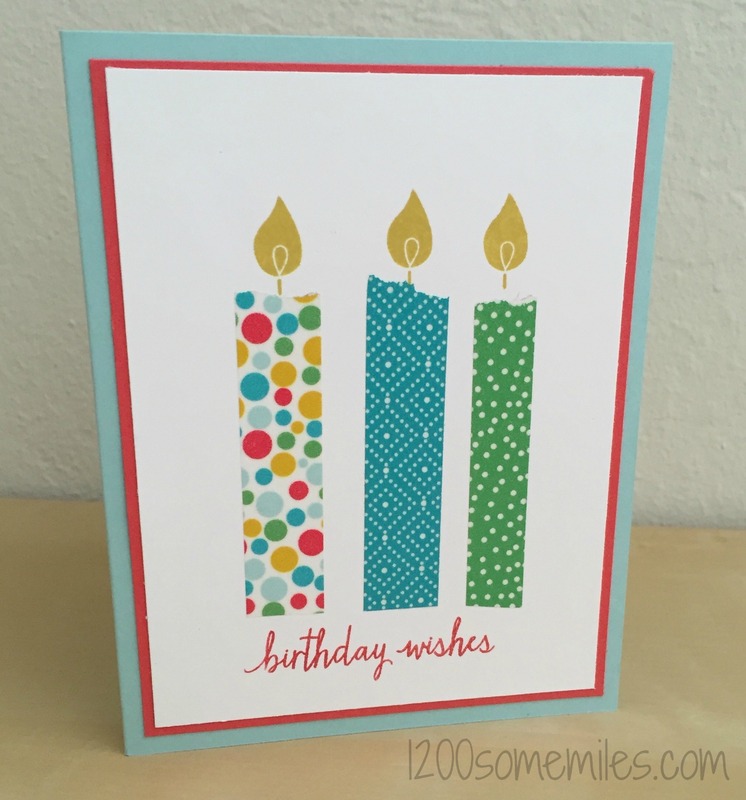 The Build a Birthday stamp set is a lot of fun to use, especially with washi tape. This card came together quickly and I like mixing the Watermelon Wonder and Pool Party card stock. For the second card, I used some of my favorite returning stamps. I was really excited to see the Watercolor Thank You continue into the next annual catalog, and I recently added Flowering Flourishes to my collection. I also used some of the new Watermelon Wonder card stock and Cherry on Top washi tape. 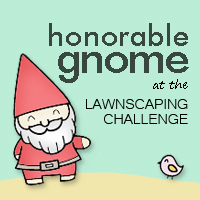 Don't miss the other stops on the hop & thank you for visiting my blog! 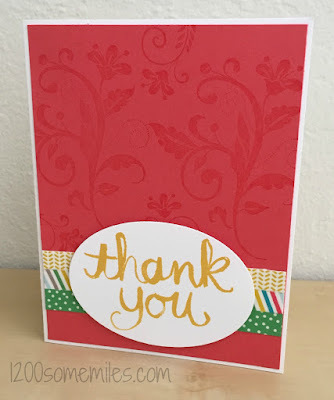 Labels: cards, CAS, Stampin' Up! 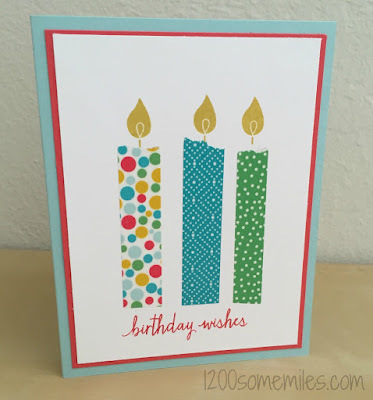 Love the idea of using Washi tape to make candles.